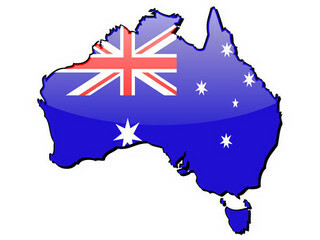 Note: This post is my summery of and was inspired by the years of devoted work by Bob from bobinoz.com his more complete first hand account on How to Move to Australia can be found here http://www.bobinoz.com/blog/how-to-move-to-australia/ Thanks Bob. When we talk about your “Want to Move to Australia or Moving DownUnder”, one of the most common questions that people ask is “Tell me how I can come to Australia” and "I want to Move to Australia? Moving to Australia will almost always differ per person, but the general process is all the same for people who want to move to Australia. “To Move to Australia, Get on the plane with a couple of suitcases packed full with all your trasured belongings and Get off that plane and step foot in Australia. This is basically how we moved to australia 20+ years ago” But now with the internet things can be alot smoother. Simple right… well lets look in to it further. In this article will discuss a quick checklist you can go through to make the process in Moving to Australia easier. This includes from the initial idea right the way through to finally arriving in Australia with permanent residency status. Hopefully this short discussion under each title will make it easier for you and your family start a better life here in Australia! Firstly the important thing to know is that Immigrating to Australia is no longer as simple as it used to be. Therefore we must now be smart about it and learn and research as much as we can, to give ourselves the best chance as possible. This is the easiest and the hardest step and the one most often over looked. First lets look at the 3 decisions that you make everyday that control the outcomes of your life. 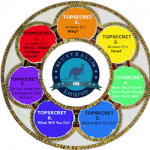 These 3 decisions determine how you will feel about your want to move to australia, what you’ll do to get a life in Australia, what you’ll notice along the way and ultimately these decisions will shape who you become in life. If you don’t control these decisions, you are not in control of your life and you can’t expert to migrate successfully to any country. When you get in control of these decisions, you will have the ability to sculpt your experience and design the life you like to be living. 1. Your decisions about what you focus on. 2. Your decisions about what things mean to you. 3. Your decisions about what to do to create the results that you desire. See, its not what has happened to you in the past or present that determines who you are and where you live. It is rather the decisions that you focus on each day that determine your ultimate destiney. So getting back on track helping you understand what decisions you are making in regards to your migration dreams. (Action Step) Grab a pen & paper and for the next 5 minutes think about, what you have decided to focus on in relation to PR in Australia and what PR in Australia really means for you? Think and write as much as you can, make it a brain dump on the piece of paper, remember you can’t get this wrong. Now take 2 minutes to think and write about what you can do to take one step closer to your dream. Just know that if anyone is achieving a level of success greater than you, its because they are making different decisions than you are about what they want in life. Consider different factors such as the emotional, physical, financial, spiritual involved in your want to move to Australia. Just being aware of how you make decisions can spell the difference between how you face the challenges that you will have to face when you want to move to Australia. Moving to a foreign land, leaving your hometown, relatives and friends is a decision that needs to be taken seriously and much thought needs to go in to it. Australia is a promising land that offers so many opportunities to all aspiring migrants like you. Still want to move to australia? When you’re done deciding and your decision making process is CLEAR to you, then you can now move to the next step. Your now one Step closer to your dream! To make finding the right Australian Visa Easy take a free no obligation online assessment with National Visas, they are a fair and reputable professional migration agent that i work with. b) Working Holiday – For people aged between 18 and 30 from arrangement countries to have an extended holiday supplemented by short-term employment. c) Retirement – For retirees who are 55 years of age and over who want to spend their retirement years in Australia. The most common are the Working Holiday Visa, Family Visa, Employers Sponsored Visas, Tourist/Working Holiday Visa and Skilled Migration Visa. Each of them obliges you different requirements, length of stay, fees and more. Do some of your own research before contulting with a migration expert. Today, the Skilled Migration Visa is the most popular one among these five classes. This is due to the increase in demand of skilled migrants order by the Australian Government. Want to move to Australia? it Is it better for you to know, understand and examine whether which one will work best for you and your family. 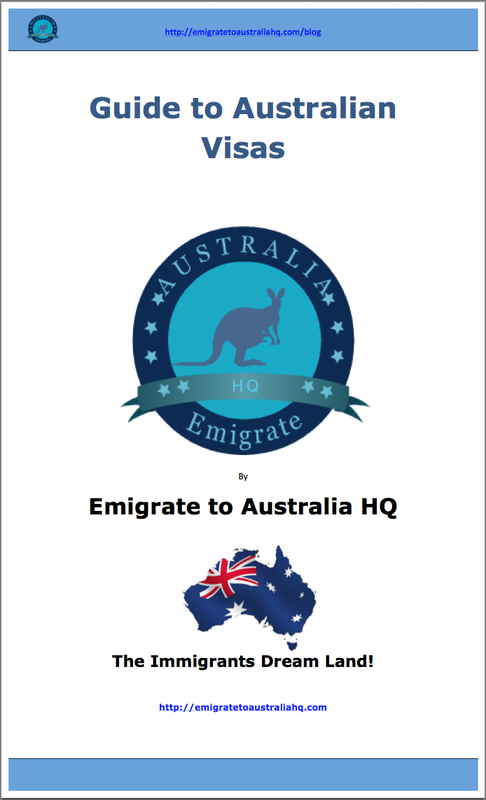 You can learn more about Australian Visas by reading our previous blog post entitled “5 Streams of Immigration to Austalia” or get your free copy of the “Guide to Australian Visas” eBook. When we talk about costs, the process and fees you’ll be paying to be honest is not cheap. Some visas will be paid for by your employer. So what you really have to consider it the 3-5 year investment in your life that will give you a 1000% return on your investment and the Priceless Lifestyle that comes with Living in Australia permanently knowing that you are part of the Australian Community. I don't think that i have to convince you of the benefits, but when you get that Sponsored Job in Australia that is paying you $50,000 – $70,000 Australian Dollars a lot of life's problems will start to disappear. Now i'm not saying that money will solve all of your problems, but it can certainly make life easier and you'll be able to help your family have a much better life. You need to prepare approximately 12,500 to 15,000 or more Australian Dollars, and does vary on the type of visa you are applying for. Plus, this does not include airfare, shipping your belongings and other necessary expenses. In short, moving to Australia can cost you an arm and a leg, but once you arrive your arm and leg quickly grow back with Australia's low unemployment and the strong Australian dollar value. In fact you can always come here on a working holiday visa and save up for the visa fees associated with getting your permanent residency. To help make fast track your application and increase the chance of your approval, When you are ready I suggest to hire a MARA (Migation Agents Registration Authority) expert, I recommend using National Visas but feel free to do your own research to find the MARA expert that most resonates with you. Tip: Many unjustified decisions are based on incorrect analysis of the applicants’ behavior, body language, presented information and so on. Work out an “Are You Lying To Me” test before coming in for an interview/hearing, to gage the truthfullness and honesty of the MARA Agent. If you have a bad feeling walk away and Interview another agent. I suggest you Interview 3 or 4 and choose the one that suits you like the best. These agents are independent and do not work for the Australian Government, they get paid direct by you as their customer. So it is in their best interest to help you get your visa approved… after all this is their business. The cost of a MARA Migration Expert is somewhere between 1,000 and 1,500 Australian Dollars, and considering the return you get isnt a big expense to fulfill your want to move to Australia. Even though anyone can apply on their own independently, it is best to have someone who knows the whole legal processes. This would make your application journey a lot easier, more convenient and faster in the long run. Applications are generally based on a points system. This system calculates your suitability to live and work in Australia. Each visa requires different passing scores and uses dissimilar Points Calculator. With your hired MARA expert, you can work out strategies on what options are you going to make to maximize your score on each criterion. Just remember that migration experts are only advisors. The job of accepting a skill is all up to you and your approval lies to the Australian immigration authorities. After you’ve finally made up your mind about what stream you are going to take, you need to provide evidence to back your application to the relevant assessing authorities. This done to effectively prove to the Australian Government that you are highly qualified to be a successful emigrant. Each different assessing authority charges a fee for this service, that you have to pay of course. Bear in mind that the more concrete your evidences are the higher the chance of your approval. So it is better for you to start as early as today to gather your files and compile them in an orderly manner. There are over hundreds of forms available at immi.gov.au – the Australian government’s immigration site. Filling the application form is actually no sweat, yet proving it is again the hardest part. These include legal documents such as birth certificates, marriage certificate, degree certificate, license certificate, revelant work experience and more. All of these proofs need to be photocopied and must be certified by a justice of peace. However, if any of these documents come from a non-English speaking country, then you will need to pay for a qualified translator to translate the text and verify if all your papers are not falsified. Addition, electronic application is now available and is faster than paper applications. So if you have the means and you are in a hurry, you can apply electronically. You can talk to your MARA agent and ask suggestions about the most feasible ways. After all your papers have been submitted, here comes waiting – the hardest part of all. This is because you’ll have no clue or idea if your application is approved or not! These are the real stressful times. You will also have no assurance on how long will you wait to receive the results. Some would wait as fast as 10 months to as long as 5 years. To give you weekly updates on your application, you can sign up for an e-mail service provided by the Australian authorities called DIMA. Although seeing their sluggish response might depress you, yet this period will give you enough time to do all the things you want before leaving, thats if you have applied from outside the country. The medical is the one part of the whole process that can cause your disapproval. You need to pass several exams and needs to be physically fit. You’ll be required by the Australian approved doctor to pull all together your results within 7 seven days after notification. This is why the most ideal age for migrating to Australia is between 25 to 45 years of age. After the long wait, finally this is the time to celebrate! When your application has been approved at last, you will be automatically notified through email or called by your MARA expert. You have up to five years to take the option of living in Australia before it will expire. If you have applied through an offshore visa, you can now sell your properties and prepare yourself to live a new life here in Australia. For the last time you can say goodbye to all the places, people and love the ones you’ll leave behind. Entering the country is the final act of your immigration process. The date that customs officers enter onto your passport effectively validates your visa. The validation signifies that you are allowed to live, study, stay and work in Australia for the foreseeable future. Then after four years, you can now apply for a permanent Australian Citizenship and become permanent citizens. To assure you’ll have a new house to live, you can purchase a house and transact through the internet prior to your plans of want to move to Australia. At last, you and your family can start a new and a better life, here in Australia! That just about wraps up our Guide to help if you Want to Move to Australia, Remember to Bookmark this page because we will be uncovering and refining the steps you can take and be more helpful. For when you Want to Move to Australia. Hey, yes we use http://mediatemple.net for hosting. Then we have also a plugin that caches the webpage and increses the loading speed.